You can directly support Crash Course. Subscribe for as little as $0 to keep up with everything we're doing. In this Crash Course series, marvel at the wonders of astronomy with your host for this intergalactic adventure, the Bad Astronomer himself -- Phil Plait. In just 40 short lessons, you will learn the basics of the oldest science known to humanity. Be sure to check out links to relevant Photos in the description for each video. 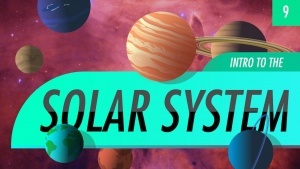 Lesson 9 covers the basics of the Solar System. CosmoLearning is promoting these materials solely for nonprofit educational purposes, and to recognize contributions made by Crash Course (Crash Course) to online education. We do not host or upload any copyrighted materials, including videos hosted on video websites like YouTube*, unless with explicit permission from the author(s). All intellectual property rights are reserved to Crash Course and involved parties. 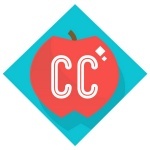 CosmoLearning is not endorsed by Crash Course, and we are not affiliated with them, unless otherwise specified. Any questions, claims or concerns regarding this content should be directed to their creator(s).